A ground-breaking plan to employ returned soldiers resulted in one of the world’s most recognised and iconic tourist routes, The Great Ocean Road. 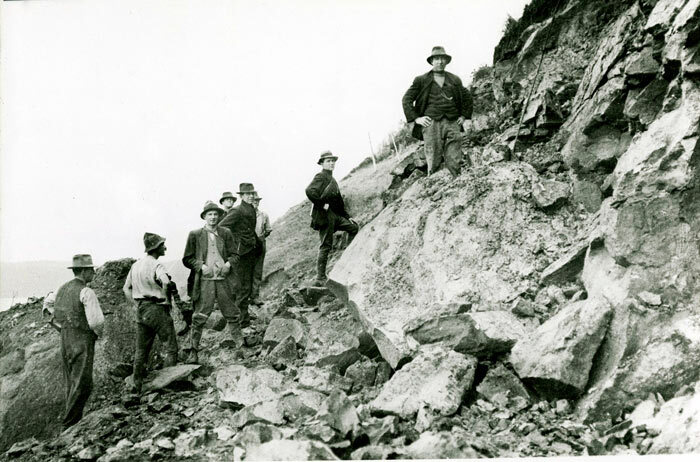 Lorne Historical Society has compiled a collection of information and photographs about the road’s construction and this page provides an overview of the road’s origins and the trials and tribulations of its creation. The Great Ocean Road story is also the centrepiece of The Great Ocean Road Heritage Centre. 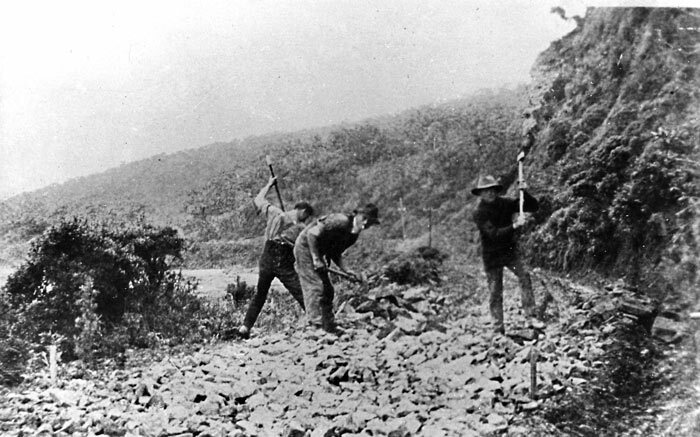 The Great Ocean Road was first planned towards the end of the First World War, when chairman of the Country Roads Board William Calder asked the State War Council for funds to be provided for returned soldiers to work on roads in sparsely populated areas in the Western District. By the time of World War One, the rugged south-west coast of Victoria was accessible only by sea or rough bush track. Besides being dedicated as a memorial, it was also envisaged that the road would connect isolated settlements on the coast and become a vital transport link for the timber industry and tourism. Surveying for the road, tentatively titled the South Coast Road, started in 1918, with the road suggested to travel from Barwon Heads, follow the coast west around Cape Otway, and end near Warrnambool. 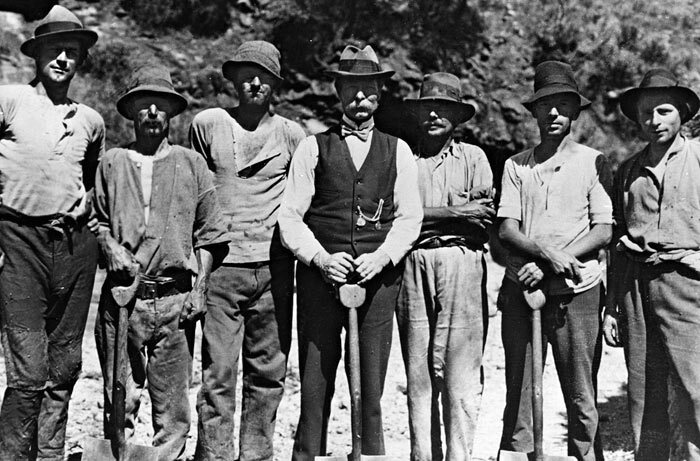 In 1918, the Great Ocean Road Trust was formed as a private company under the helm of president Howard Hitchcock. The company managed to secure £81,000 in capital from private subscription and borrowing, with Hitchcock himself contributing £3000. Money would be repaid by charging drivers a toll until the debt was cleared, and the road would then be gifted to the state. Construction on the road began on September 19, 1919, built by approximately 3000 returned servicemen as a war memorial for fellow servicemen who had been killed in World War One. 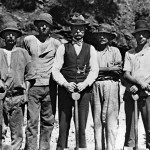 An advance survey team progressed through dense wilderness at approximately three kilometres a month. 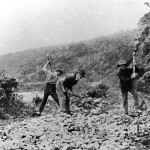 Construction was done by hand using explosives, pick and shovel, wheelbarrows and some small machinery, and was at times perilous, with several workers killed on the job. 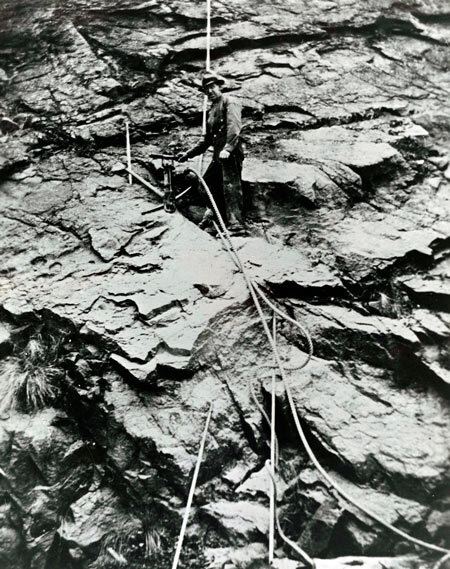 The final sections along steep coastal mountains were the most difficult to work on. Anecdotal evidence from ABC archives in 1982 suggested workers would rest detonators on their knees during travel, as it was the softest ride for them. 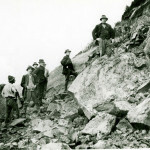 In November 1932, the section from Lorne to Apollo Bay was finished, bringing the road to completion. The road was officially opened with Victoria’s Lieutenant-Governor Sir William Irvine holding a ceremony near Lorne’s Grand Pacific Hotel, and the road subsequently being acknowledged as the world’s largest war memorial. At the time, newspaper The Age commented: “In the face of almost insurmountable odds, the Great Ocean Road has materialised from a dream or ‘wild-cat scheme’, as many dubbed it, into concrete reality”. Hitchcock had however died of heart disease on August 22, 1932, before the road was completed, though his car was driven behind the governor’s in the procession along the road during the opening ceremony. A memorial was constructed in Hitchcock’s name on the road at Mount Defiance, near Lorne, and he is still affectionately considered the Father of the Road.In its original state, the road was considered a formidable drive, fitting only a single vehicle comfortably at a time. Areas with sheer cliffs would be most hazardous, with only few places for drivers to pull over to allow others to proceed in the opposite direction. On October 2, 1936, the road was handed to the State Government, with the deed for the road presented to the Victorian Premier at a ceremony at the Cathedral Rock toll gate. It was at this time that the tolls were also removed. In its original state, the road was considered a formidable drive, fitting only a single vehicle comfortably at a time. Areas with sheer cliffs would be most hazardous, with only few places for drivers to pull over to allow others to proceed in the opposite direction. On October 2, 1936, the road was handed to the State Government, with the deed for the road presented to the Victorian Premier at a ceremony at the Cathedral Rock toll gate. It was at this time that the tolls were also removed. In 1962, the road was deemed by the Tourist Development Authority to be one of the world’s great scenic roads. It also had sections widened between the Lorne Hotel and the Pacific Hotel to improve traffic, while aiming to preserve its character. Despite improvements, the road was still considered a challenging drive, the Victorian Police motor school even using it for training around 1966. Over its life, the Great Ocean Road has been susceptible to natural elements. In 1960 the section at Princetown was partially washed away by water during storms. It experienced landslides on August 11, 1964, and in 1971, both closing sections of the road near Lorne. Because of the terrain surrounding the road, it was also closed due to bushfires in 1962 and 1964; particularly in areas with nearby campsites. In January 2011 a section of the overhanging cliffs collapsed due to heavy rain. Over its life, the Great Ocean Road has been susceptible to natural elements. In 1960 the section at Princetown was partially washed away by water during storms. 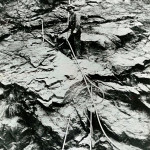 It experienced landslides on August 11, 1964, and in 1971, both closing sections of the road near Lorne. Because of the terrain surrounding the road, it was also closed due to bushfires in 1962 and 1964; particularly in areas with nearby campsites. In January 2011 a section of the overhanging cliffs collapsed due to heavy rain. In 2011, the road was added to the Australian National Heritage List. Contact Lorne Historical Society if you’d like more information about The Great Ocean Road’s rich history. You can also buy photographs, books and memorabilia about The Great Ocean Road.